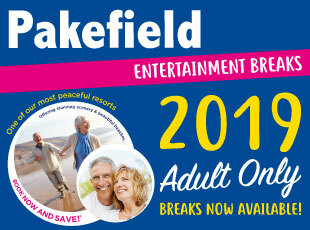 Throughout the year, we are offering you a wide range of Entertainment Breaks at Pakefield Holiday Park. We have searched the world for the best entertainment and cabaret acts, bringing them all together just for you! 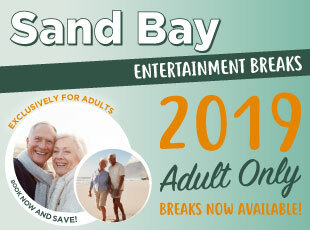 Plus most of our Entertainment Breaks are adult-only and have half-board catering included! Learn More. If your idea of a break is to sit back, relax and be entertained. Then our range of Midweek breaks at Sand Bay will suit you perfectly, leaving you with wonderful moments to last a lifetime. We would love to welcome you to Sand Bay this year. Learn More. Yes, I would like to recieve special Email offers from Pontins and I confirm that I am over 18. 2019 Easter Family Holidays !. 2019 Easter Sale - Now On! Easter Holidays from as little as £69 per apartment, so what are you waiting for? Book Today! May Half Term Holidays from as little as £169 per apartment, so what are you waiting for? Book Today! 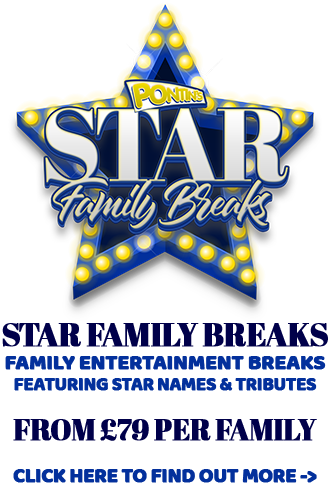 Huge savings on 2019 Family Breaks, from as little as £59 per apt! Book Today!